Democrats to Trump: Halting Puerto Rico relief funds is "unacceptable"
Eight Democratic members of Congress, including Sen. Elizabeth Warren and Reps. Raúl Grijalva and Nydia Velázquez, have written a letter to President Trump saying that cutting off relief funds to Puerto Rico is "unacceptable" and would have a "catastrophic effect on the Island’s already fragile recovery." 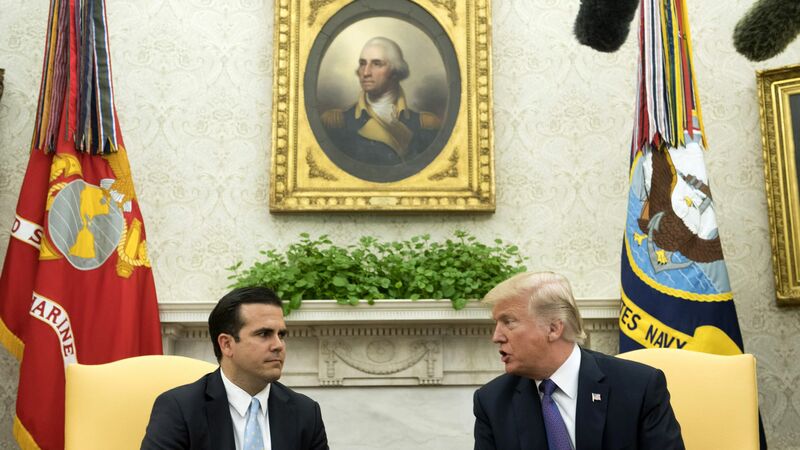 Why it matters: Trump has told senior officials that he would like to retract some of the federal funds Congress has already set aside for Puerto Rico's disaster recovery, Axios' Jonathan Swan reported earlier this month. This is mainly due to Trump's belief that the funds are being used to pay back debt (there is no evidence of this). The members noted in their letter that they would work with Trump to "ensure this never occurs."